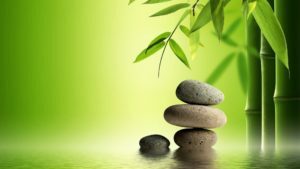 Feng Shui is the ancient art and science of working with environmental energies to benefit the people in that environment. Since each person and environment is unique, it is important to address the flow of energy specific to the situation. The purpose of feng shui is to promote health, harmony, and prosperity. Feng shui originated in China nearly 3000 years ago as a practice to help people live better in their environment. Early feng shui practitioners worked with the environment to take advantage of the elements. They located the house to utilize the sunlight in winter and the cool winds in summer. Stoves and fireplaces were placed in particular areas so that fumes did not the fill rooms with smoke. As the centuries progressed, the practice of feng shui splintered into many schools of thought. It became more systematized and less naturally intuitive. Today, there are many perspectives within each form of feng shui. If you were to ask ten practitioners to solve a problem, you would be given ten solutions. There are two primary forms of feng shui whose names you may have heard: Classical and Black Hat. We (Anne and Greg) are trained in both of these disciplines. Classical (or Traditional) Chinese Feng Shui was first referenced in written texts in China over 2000 years ago. It is now based on rigid rules of the compass. The difficulty is that some of these rules are hard to implement in the 21st century. For example, a wise Classical Feng Shui practitioner once told us that we needed to move the stove in our kitchen to point in another direction. We had just redesigned our kitchen, so this idea did not appeal to us. An alternate solution was to turn off our stove and eat from a camping burner. This second solution would be a daily irritant. That, in turn, would put us out of flow with nature. Our goal was harmony. Black Hat (or American) Feng Shui was developed in the 1980’s by a Buddhist monk living in the United States. It is a simplified form of feng shui for the western consumer, and is primarily based on door placement. It offers quick and easy answers for general problems. Years ago, after I (Greg) had taken my certification training in Black Hat, I decided I wanted a relationship. So, utilizing one of the techniques, I put roses in my relationship corner. That felt really good. I hoped that this simple process would give me immediate and dramatic results. But if I had just stared at the roses waiting for someone to come knocking at my door, nothing would have happened. I had to take more action than simply placing the roses. So I took classes and did massive research on dating and made myself enter the dating scene. That is when I found a relationship. What worked? Was it the roses? I don’t think so. It was most likely that I put my attention on relationships, had the intention of becoming a good partner and attracting a good mate, and took practical actions. That was my focus and priority. Looking at the roses was a good reminder for me. So, after all of our training in Classical (Traditional) Chinese Feng Shui and Black Hat (American) Feng Shui, we decided there had to be something more. We didn’t like it when the rules ran the show. Feng shui was originally intended to be practical and help us live in harmony with our surroundings. The goal was to create a positive flow of life force energy (qi or ch’i) in our environment. This, in turn, would help us stay “in flow” with life. In our research, we found that feng shui today is generally 20-30% effective in solving a problem. If you start at 0, then 20-30% improvement is great. But what if that isn’t enough? We felt that ancient feng shui practitioners utilized not only their analytical minds but also their intuitive wisdom. We feel that utilizing our intuitive abilities gives us access to more complete solutions. In order to come up with more complete solutions, we employ our intuition. We utilize our inner sight to see any imbalances in the energy flowing through a space. We then balance that energy. Energy clearing and balancing involves tapping into the energy (qi or ch’i) in a living or working environment. We intuitively read negative and static energy (stagnating electromagnetic currents) in a space. We clear the space of the negative and static energy. We then balance the energy to create a fresh and clean environment. More specifically, we work with energy to promote what you want to do in a specific space. For example, if you want to sleep and be romantic in your bedroom, we clean out the energy of any arguments and fill in the space with relaxation and romance. If you want your business to succeed, we clean out negative energy and bring in creativity, productivity and profits. Energy emanates from everything animate and inanimate. Peoples’ strong mental and emotional responses stick to people, objects and environments. This creates a stale buildup within the space. We come in and scrape off this old energy debris. Since energy continuously becomes stuck in an environment, it is important to cleanse your space regularly. This gives you a more pleasing atmosphere in which to live and work. It gives you a dynamic palate from which to create your dreams. You may have heard the expression, “If only these walls could talk.” Well, you could say we listen to those walls and desks. We listen for information that a room has to give us. For example, if some people sit at their desks and continuously repeat to themselves, “I hate this job,” then those words are suspended in the energy in that room. Those words remain even when the people are gone. You need this negative energy cleansed to achieve true success. We work at many levels to achieve a full solution for you in your office or business. We combine feng shui and energy clearing and balancing with intuitive consulting. We work at the physical, energy, personal and business levels. Make your site easy to enter. Create an easy flow of people through your business. Identify and help you complete unfinished projects. Implement changes by moving furniture when possible. Ask you what you want to achieve. Survey the site, walk the area, take a reading of space. Explain to you what we see and sense. Focus on a particularly troubling area or issue for you. Move out old static and negative energy. Bring in fresh dynamic energy and balance it. Program it to bring about your desired results. Follow-up to see how the positive energy has held. work with you the boss to resolve any issues which might affect the environment. These issues can be conscious or unconscious. Evaluate your staff and the organizational structure. Work with your staff to resolve personal issues affecting business. Offer new guidelines and simple procedures. Help you implement the recommended actions. In conclusion, this is how we help you bring harmony and productivity to the workplace. Harmony can be noticed by your customers, whether they contact you by phone or come into your place of business. This is because energy is real and can be sensed. For example, when you think of someone you need to call, you can tune in and determine if now is really a good time to call. Your clients do the same thing when they tune into your business. They determine if they feel like calling you or your competitor. This is one reason why it is so important to keep both your physical and energetic space as clean as possible. We work at the physical, energy and personal levels. Make your home inviting to enter. Create an easy flow of energy throughout. At the personal (intuitive consulting) level we work with you to resolve any issues which might be affecting your environment. These personal issues can effect the buying or selling of your home. They can be conscious or unconscious. In conclusion, energy is real and can be sensed by everyone entering your home. They may feel it unconsciously, but it still effects them. This is why it is so important to keep your physical and energetic space as clean as possible. What Makes Intuitive Advantage Unique? 1) We are trained in Classical Feng Shui and Black Hat Feng Shui. We know the principles and rules that govern the profession. 2) We are Intuitive Consultants (psychics). Instead of just following general rules of Feng Shui, we actually see, feel, sense and hear the energy that is specific to your situation. This helps us find the cause of the problem quickly. The problem may not be able to be fixed simply by moving things around and placing items differently. We need to look at all areas to achieve an 80% to 100% solution. 3) We clear and balance the energy with or without moving objects. Energy balancing can completely change the energy of a space even when you are unable to move the furniture. 4) We are Business Consultants. We have a solid background in business and real estate. After our Feng Shui and Energy Balancing is complete, we also meet with your employees to discuss the changes. We explain why the work was done and answer any questions. We help everyone get on board with the new direction. We also recommend business solutions which do not specifically involve feng shui but which arise in the feng shui consultation. For example, we address issues pertaining to the business structure, procedures, sales and marketing advice and management training. 5) We also work by phone. If you can’t bring us in physically, we can always do the energy clearing and balancing remotely while you are on the phone. 6) We follow-up. We want to make sure you get what you asked for. So, after the session we view your space remotely to see how your space is doing. We check in to see if it has stabilized yet. If we notice anything that needs tweaking, we offer suggestions. And, we always love to hear how you are enjoying your new space. 7) We do maintenance work. If you would like to keep your space fresh and productive, you can hire us to do regular checkups. We check in with the energy and make any necessary changes according to the results you want to achieve. We give you suggestions so you can fix any small problems before they become larger issues. If you would like an evaluation of your space, please call us at GoIntuition.com.